Memory Foam or Latex: Which is the Best Mattress? Memory foam and latex both have made a reputation as being the best in the market, but which is the best mattress? There are several factors that might indicate that one is better than the other, but the truth is that each offers a set of pros and cons that make them both terrific mattress options in their own way. Keep reading to see how memory foam and latex differ, and how to tell which might be the best mattress. Overall, memory foam and latex each have their good and bad points, and what might make latex the best mattress for one person could make memory foam the best mattress for another. From our analysis, here are our recommendations. You experience painful pressure points. You require an ultra-plush mattress, or enjoy the sinking/contouring sensation. Your partner’s movements bother you at night. You do not naturally overheat when sleeping. Being eco-friendly is not your number one priority (though some are plant-based). We recommend: Amerisleep’s plant-based memory foam mattresses, which reduce concerns about chemicals by eliminating VOC’s and offer a cooler, more breathable option. Available online at Amerisleep.com, with prices starting at $649. You prefer a resilient, buoyant feel. You want a firmer mattress (not all latex is firm, but can be made that way). Heat and/or odor are of concern to you. You favor the natural and eco-friendly lifestyle. You want to customize your mattress. How Do You Know Which is the Best Mattress? Data from independent mattress review organization, SleepLikeTheDead.com. The evidence in favor of either a memory foam or latex bed over innerspring beds is pretty stark. If you are looking for the best mattress, you should consider one of these types of mattresses. In order to decide which is the best mattress when it comes to memory foam and latex, you must consider what each has to offer as well as what you want out of your bed. Memory Foam and latex are made differently, have different health influences, and impact the environment differently. All of these aspects may influence your satisfaction, so understanding these factors proves important. First, we will explain the basics of memory foam and latex, and then we will look at each compared side-by-side. What is special about memory foam? Memory foam material reacts to weight and pressure in a unique way. When a person lays on a memory foam bed, the material curves to their body and transfers their weight across the surface of the bed. This eliminates pressure points caused by materials like springs, which cannot contour and resist rather than absorb pressure. When you move, the material returns to its previous shape, hence the name memory foam. Memory foam mattresses are composed of polyurethane, which is typically made with several chemicals. Petroleum and petroleum byproducts remain on of the biggest components in the manufacture of memory foam. This can be a distinct disadvantage for those with chemical sensitivities or those seeking to be more eco-friendly. What are the different types of memory foam? There are three primary types of this material. The traditional version as explained above, as well as plant-based and gel formulations. Plant-based memory foam mattresses greatly reduce the health and environmental hazards by substituting a portion of the petroproducts with plant-based products. Gel-infused memory foam mattresses incorporate beads or layers of gel that claim to reduce the heat buildup that some people complain about. What is special about latex? Latex is known for offering moderate levels of conformity and more resilient feeling than memory foam. Though it tends to match on pressure and pain relief, latex does not offer the slow-response/sinking feeling of memory foam. Latex mattresses also offer superior allergy resistance and have been around several decades. True latex mattresses contain only latex foam but may have several layers of the material. Like memory foam beds, the layers are encased in a cover that is often removable. Sometimes you can arrange the layers of latex as you like, also. Latex mattresses are largely made with natural materials (except synthetic latex foams), which is great for consumers who prefer an organic or green product. Latex-producing Hevea trees, properly harvested, provide a sustainable and renewable resource, making the materials eco-friendly. Very few additives are needed to produce the mattress material, and only synthetics or hybrids will contain petroproducts. Latex has two main distinguishing categories. The first is what materials are used to make it, and the second is how the latex foam material is made. 100% natural latex refers to beds that do not utilize and synthetics, and while blended and synthetic material utilizes chemically-created latex. 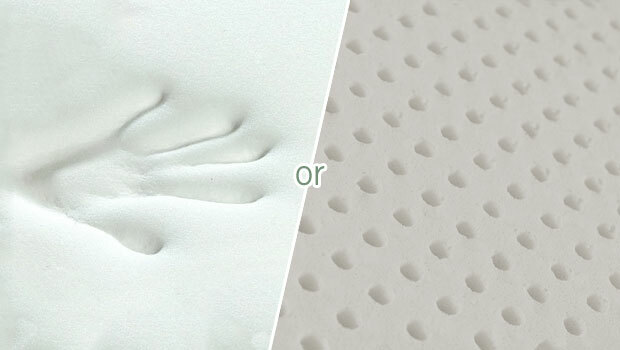 Both natural and synthetic latex liquid can be made into mattresses using either the Dunlop or Talalay method. The Dunlop method is the traditional method, which is more widespread and also less expensive to produce. The Talalay process adds a few ingredients and steps, making it more expensive. With modern manufacturing, both processes can yield consistent, durable foams in a variety of firmnesses. Currently, the only certified organic latex foam is made in the Dunlop process, though natural latex is available in both. Below, you will find a chart grading the features of memory foam and latex for quick comparison (A is highest). Satisfaction. These are the two best mattress types on the market in terms of ratings, and while latex outperforms memory foam in some surveys, they both tend to score in the low 80’s which is nearly 20 points higher than innerspring beds. Pressure Relief. 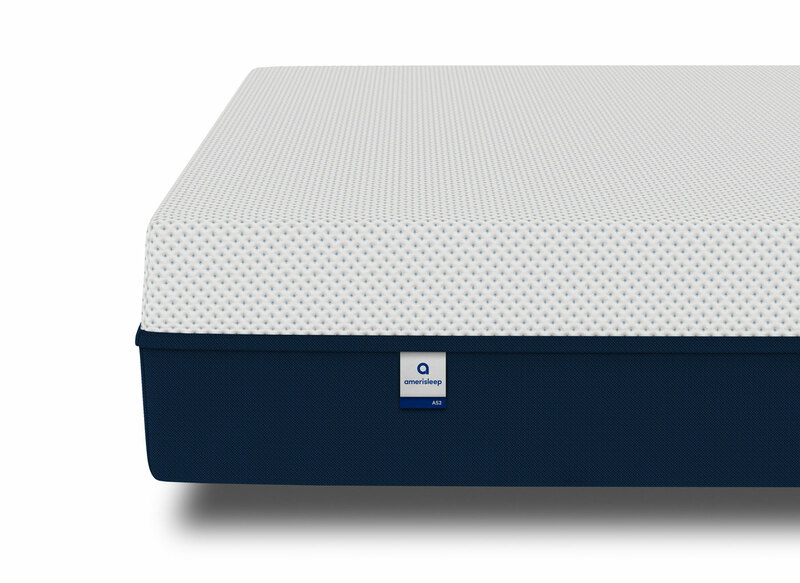 Both mattresses excel at preventing pressure points. Pain Relief. Both memory foam and latex excel at relieving back and body pain. Support. Both offer excellent support relative to other beds. Variety. Both are available in a wide range of thicknesses, firmnesses, and brands. Guarantees. Both tend to come with good warranties with 20 or more years of coverage and good return policies. Price. Both tend to be more expensive than average spring mattresses, on average. Availability. Memory foam is available from many more outlets than natural latex, which can be hard to find locally. Conformity. Memory foam’s properties allow it to better conform and contour. Sinking Feeling. The sinking sensation is fairly unique to memory foam and is not reported by latex owners. Ease of Movement. Latex proves easier to move around because sleepers do not sink in and it recovers instantly. Motion Isolation. Both mattresses are good at isolating motion, though memory foam tends to be a little better. Heat. Owners of memory foam are slightly more likely to complain about heat than natural latex owners. Odor. Owners of memory foam are about 10 times more likely to complain about odor or offgassing than natural latex owners. Natural. All natural latex excels in this category, though plant-based memory foams offer a more natural alternative. Eco-Friendly. Due to it’s natural materials and manufacturing process, latex is more eco-friendly than the majority of memory foams. Durable. Both of these beds tend to outlast innersprings by several years, though latex is often reported to be more resistant to impressions and early wear. As you can see, it really comes down to preference as far as what you find important when choosing the best mattress, especially when you are already considering memory foam or latex. Both beds feature very high owner satisfaction ratings, so as long as you consider your needs and opt for a good-quality mattress, chances are you will get the best mattress and be happy with your new bed. I’m thinking of just getting a latex or memory foam mattress topper as I already have an inner spring mattress. The memory foam would be good for conformity (and thus one would expect also pain relief, although that is not evident in the ratings), while latex would be better for not being too hot, eco-friendliness (or not having to pay even more to be eco-friendly) and no odour. Or maybe I’ll get an Amerisleep or similar plant-based memory foam mattress topper if I can find one, or maybe just a mattress. What did u end up with? Great info. I choose latex mattress because it is incredibly durable and healthy. I have models that last for 15 years, it’s still firm and more eco-friendly. I would recommend ruwette.nl/auping since you can get your best mattress there. I must say that I am more of a memory foam user because it works out for me. However, memory foam is not for everyone and each of us has varied comfort meter. I cannot also deny the advantages of the latest. So in choosing the best mattress, you have to take into consideration which type of mattress can provide the level of comfort you require. At the end of the day, your satifsfaction is what truly counts.